President Barack Obama and African leaders have opened talks on expanding trade, improving security and strengthening government accountability across Africa. The talks, at a series of forums Wednesday, are a highlight of a massive three-day summit in Washington involving some 50 African heads of state and government. In opening remarks Wednesday, President Obama said a “new Africa” is emerging. “With some of the world’s fastest growing economies, a growing middle class and the youngest and fastest-growing population on earth, Africa will help shape the world as never before,” Obama said. The president said increased business opportunities in Africa could help transform the relationship between the U.S. and the African continent. “It is time for a new model of partnership between America and Africa, a partnership of equals that focuses on African capacity to solve problems and on Africa’s capacity to grow, and that is why we are here,” he said. 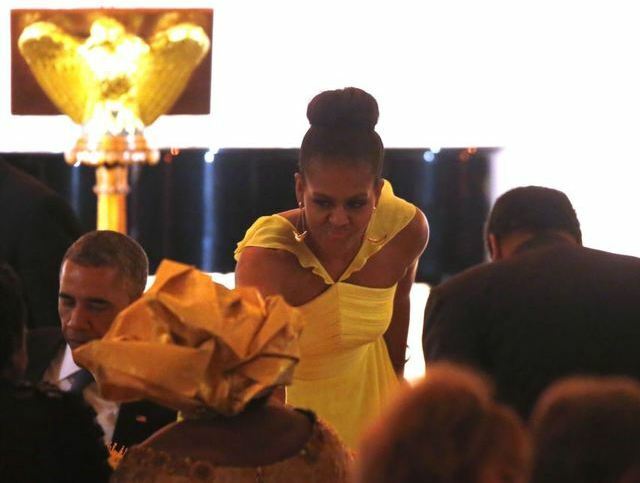 Late Tuesday, the White House hosted a state dinner for the visitors, where the president noted his African heritage and said that for his family, the bonds between the U.S. and Africa are deeply personal. Earlier, Obama announced $33 billion in U.S. private and public investment in various African countries. Speaking at the U.S.-Africa Business Forum, he said the investment and financing commitments will support both African and American jobs. The bulk of the commitments will come from private sector companies like Coca-Cola and IBM. The president emphasized that the U.S. is interested in more than just the abundance of natural resources to be found in Africa. He said the Power Africa program introduced last year will aim to bring electricity to 60 million Africans, triple the previous goal. But he cautioned that Africa’s future will be made on the continent, not the United States. Obama said the U.S. will do more to help African nations trade with each other. He said it should not be harder to export goods to your neighbor than to export goods to Los Angeles or Amsterdam.